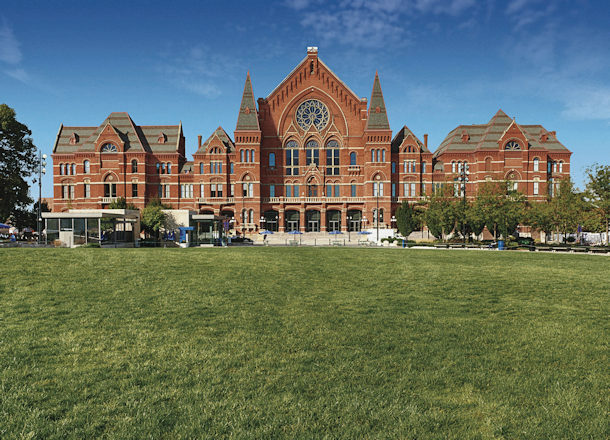 Last fall, Cincinnati’s Music Hall’s highly anticipated, 16-month and $143 million historic renovation was unveiled to the community. It didn’t disappoint. Original plaster was restored, along with specialty stained bricks and other fine detail work that had been lost during its century and a half in the Over-the-Rhine neighborhood. The interior work was a tremendous undertaking, but the real show stopper turns out to be something that is often taken for granted: the windows. Prior to this complete renovation, over 90 windows had been bricked over throughout the years, often as a cost-saving move. Yet, over time, this had a massive impact on the natural light available in the hall, altering the building in a fundamental way. The building was listed on the National Trust for Historic Preservation’s in 2014 (previously listed there in 2006, as well) and now the recent renovation will make for a restoration success story for the ages. That’s why when Pat McNickle’s company, Marsh Building Products, was asked to contribute its extensive expertise with exterior products for the restoration of the Music Hall, they were more than happy to oblige. The work order for the exterior of the building was immense. It included new sidewalks, granite steps, granite pavers and massive wooden windows. According to McNickle, finding custom windows for the Music Hall was challenging, since they had to be both historically accurate due to the Hall’s status as a historic building and large enough to span some impressively large openings. Ultimately, the architect chose custom for the job. As it turns out, the custom window option was vital to the success of a project of this nature. 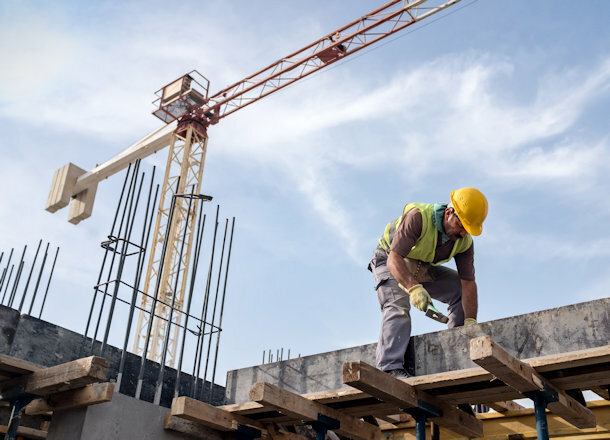 In a building of this age, the openings are rarely standardized, so having the ability to order a window that’s two inches longer than its next-door neighbor made it crucial to select the right supplier for the job. 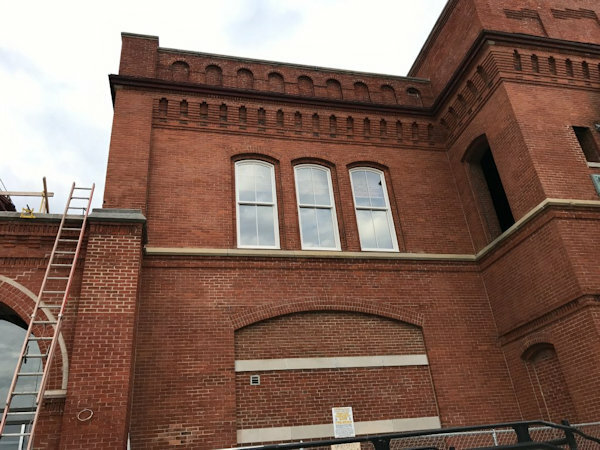 McNickle was the supplier for the windows and doors for the Music Hall, but he had the easier job compared to his counterpart, Curtis Hoffman, Project Manager at Messer Construction in Cincinnati. 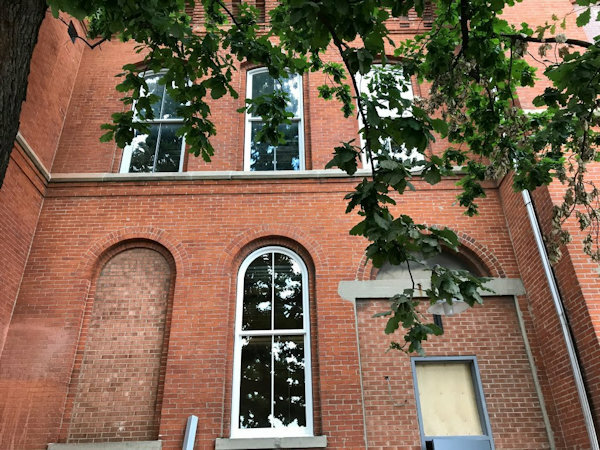 Hoffman was charged with removing the brick from 90 window openings that had been bricked over during the building’s 140 year lifespan. Some of these, like the three massive tracery windows, were so large and so high off the ground that even removing the brick was extremely dangerous. Add in the bitter Ohio winter and it would be an overwhelming job for most. Because McNickle couldn’t place the order for the new windows until he had accurate numbers, Hoffman’s team had to really hustle to get each of the openings cleaned up enough to deliver accurate measurements. Due to the dimensional differences between similar windows, both Hoffman and McNickle had to be meticulous with the measurements. A combination of this, the immense budget involved and past experiences dealing with historic structures gave both men the tools they needed — literally and figuratively — to get all the dimensions right. 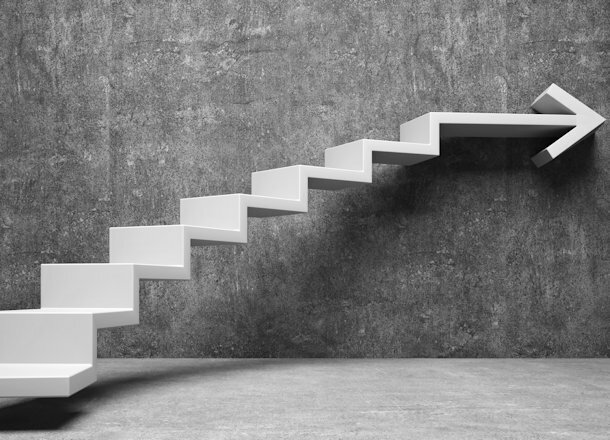 Hoffman kept a meticulous record of each and every opening as it was created. There’s no such thing as a standard window in a very old building, but to his surprise, it wasn’t that difficult to order custom windows that fit right into each of the openings from Marvin. • When measuring field openings in older buildings, measure the width at both the top and the bottom of the window and the height at both the left and right side. Take the smallest of both measurements and record it, along with a way to identify which window you’ve measured. • Round-top windows offer a special sort of headache, but modern surveying tools can get you a really accurate picture. If that’s not in the budget or if you only have a few small round top windows, measure the total height of the window to the peak of the arch, at the midpoint of the opening’s width. Then measure the height at which the arch begins on each side (as well as the top and bottom of the rectangle for width). Tracing the round top onto paper can also help your window supplier get the size just right. • Don’t forget to measure the window design. That means you should measure the glass size in each light, the width of the dividers, the size of sashes and so on. 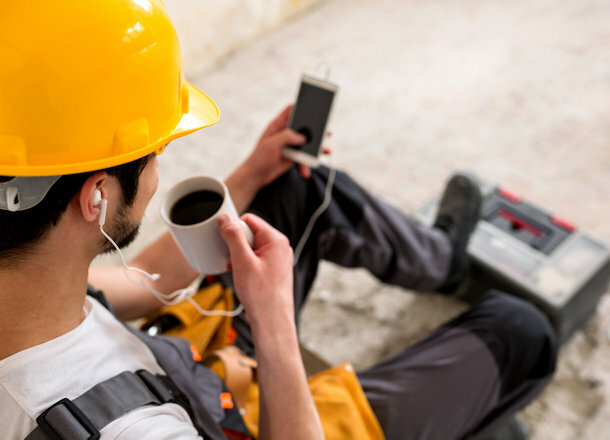 Unless your client is looking for a major visual overhaul or to restore their home or building to its original state from a more recent remodel, making meticulous measurements ensures that the window you get back from the supplier will be exactly what you took out, only with stronger performance and energy efficiency. There’s no reason you can’t take a few lessons from the pros of the Cincinnati Music Hall. After all, your projects can be just as amazing, even if they’re not listed by the National Trust as one of America’s Most Endangered Historic Places.